Watch this short Demo to see our Simple Drag and Drop Website Builder that Allows You to Take Total Control of Your Online Identity! We understand your business is different, therefore you need to be able to add the right elements so your website can speak for your company. If it’s crafting the colors to match your logo or show your brand identity, our website builder makes it a breeze to be able to give your company the unique look so can stand out from the crowd. Whether you need five pages or 50, no problem! We have several pre-designed content layouts for you to choose from, or use or easy drag-and-drop elements. See, you CAN quickly lay out content for your company and take full control with no need of a web developer. A website with no called actions or lead forms is just a billboard in the middle of the desert. For your business to be successful online, you have to capture online leads. We have an intuitive call to action customizer, as well as including one of the most popular form builders, so you can create and craft your perfect lead generation. No website is complete nowadays without the use of high-quality images and video. Let’s face it, people don’t read content as much anymore. A properly placed video on your website will explain your message perfectly the first time. Are you wanting to let your voice be heard? Be an expert in your industry and connect with your market. We’ve integrated a blog section for your website - it’s already set to go to. All you need to do is start dropping your content or video directly into your website. Your website visitors are using more mobile devices than ever before. 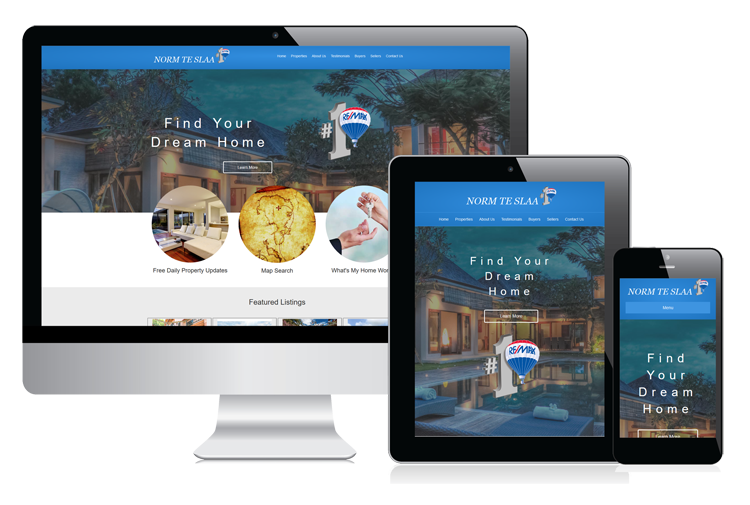 With your new website, your content, images, and videos will look great on any and all devices, from PCs to laptops to tablets.